It was a fast & convienient drop off & pick up. 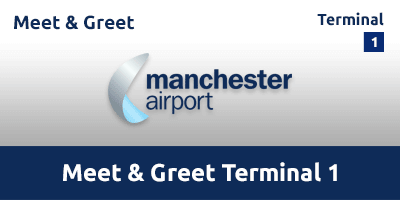 Meet & Greet Terminal 1 is the perfect answer if you're looking for stress-free parking at Manchester Airport. Avoid the hassle of transfers and cruise straight to Terminal 1 where a uniformed chauffeur will park your car while you take the short stroll to the check-in desk. A great solution if you're short on time, travelling with children or just looking to add a little bit of VIP magic to your trip. No airport transfers required with this meet and greet service. The car park has 24-hour staff on hand, along with constantly monitored CCTV in operation. Meet & Greet Terminal 1 has been awarded the police-approved a Park Mark® Safer Parking Award. This is the perfect service for any customers requiring any extra assistance. Follow signs for Terminal 1 and 3. At the traffic lights, keep to the right with the Hilton Hotel and the Clayton Hotel on your left. At the following roundabout, pick up signs for T1 Meet & Greet. The entrance to Meet & Greet parking will be signposted ahead of you. Please note - the 'no entry' sign is not applicable to Meet & Greet parking customers. Enter the Valet Parking area, park your car and enter reception. Hand in your booking confirmation and quote your booking reference number. Next, hand over your entry ticket and your car keys – you’ll be handed a receipt. Unload your car and take the short walk to the terminal. On your return, please go to the new Meet & Greet collection point which is located in the Terminal 1 arrivals hall, opposite Greggs. Your car will be parked on Level 13 of the Terminal 1 Multi-Storey car park which can be reached by the lifts located to the side of the collection point. Meet & Greet staff will be on hand to assist.